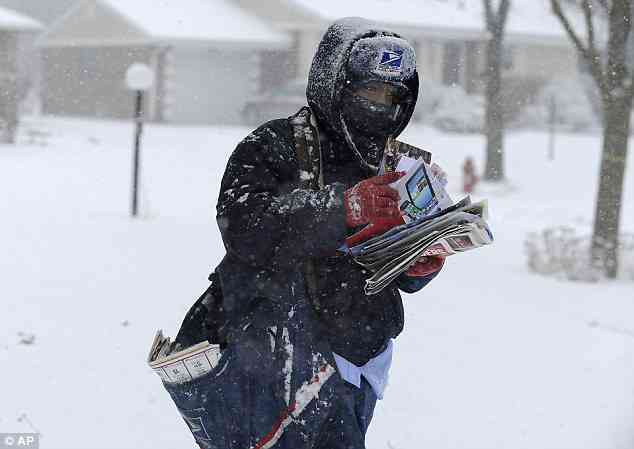 Over the past couple of years, have you noticed that mail service is stopped by severe weather? Remember that slogan: “Neither snow nor rain nor heat nor gloom of night stays these couriers from the swift completion of their appointed rounds.” Well, apparently, there are impediments that will keep these couriers from their appointed duties. And while I would not want to deliver mail during certain weather patterns, the motto sort of loses its luster when you have to qualify it. “Neither snow nor rain nor heat nor gloom of night stays these couriers from the swift completion of their appointed rounds, except in cases of typhoons, blizzards, heat over 120 degrees, hurricanes, tornadoes, and any named storms.” See what I mean? It’s too much. And by whose standards are we defining these terms? When is rain too much rain? Or heat too much heat? And what about “gloom of night”? What the heck does that mean? If I am up in the middle of the night, I am beyond gloom. I’m officially irritated. We want to mean what we say, don’t we? If I am not going to be all that I have said I am, then I should change it, not overly qualify it. If I say to my kids, “I am going to be the best dad ever,” can I really meet that charge? Doubt it (although I am pretty darn close). What I say is that “I will do the very best I can to be a great dad.” I know that some days my best is not good enough. I try, but I might come up short. Too emotional for you? Am I making you question who you are? Good. But, let’s be simpler and make it about work. When you espouse your company as an employer of choice, what does that mean? If I don’t choose you, am I a fool? And if I want to choose you, do I start on Monday automatically? And while you may be preparing a long commentary for me, let me ask for your continued indulgence. In a talent-starved market, do we set ourselves up for failure by wooing people in by touting a string of superlatives? Yes. Do we cause staff to compare what they are experiencing to these superlatives regularly? Yes. Think about how many similes, metaphors and hyperbole you have at work (seriously, you can’t remember 7th grade English class?). Check out your company values. Are we a family? Treat each other like family? Besides the scarring that might conjure up for talent, it is not true. While we would like to fire some family members, we really cannot do that; but we can at work. I don’t remember the last performance review I had with my dad, but I can with staff members. Listen to what you are saying – in spoken and written word. What is it you really mean? Say that. Nit-picky? I don’t think so. We are a society that is quick to judge words. Why wouldn’t we be more mindful about words at work? It’s the brand and the reputation that’s at stake. Protect it by being clearer about what you mean to say. This can really be an incredibly helpful exercise to do with your leadership team. Ask each person write down what it means to work at the organization. Often, we look to define our companies by what we wish were true rather than what is so. Own where you are today. Embrace it; that’s authentic. Those shared sentiments from such a meeting can formulate the work experience and identify traits to highlight. Broadcast those! Let that define the brand. And it allows senior leadership to measure what’s being done and what will be done up against it. And let me say that I really appreciate the time you’ve taken to read the best management and HR blog on the web. Err, at least the best blog on this particular subject. I mean, the best attempt at a blog. Well, oh forget it. Just thanks.